Bivalves are molluscs with bodies that are enclosed in a shell of two halves (valves) that can be opened at one end. The animal pumps water in and out of the shell. This water brings dissolved oxygen for the animal to breathe with gills and, in most species, food particles. Bivalves can be found in fresh water or saltwater environments. Edible shellfish, including oysters, mussels, steamer clams and scallops, are bivalves. The apex of each valve is termed the beak, and the shell opens at the opposite end. 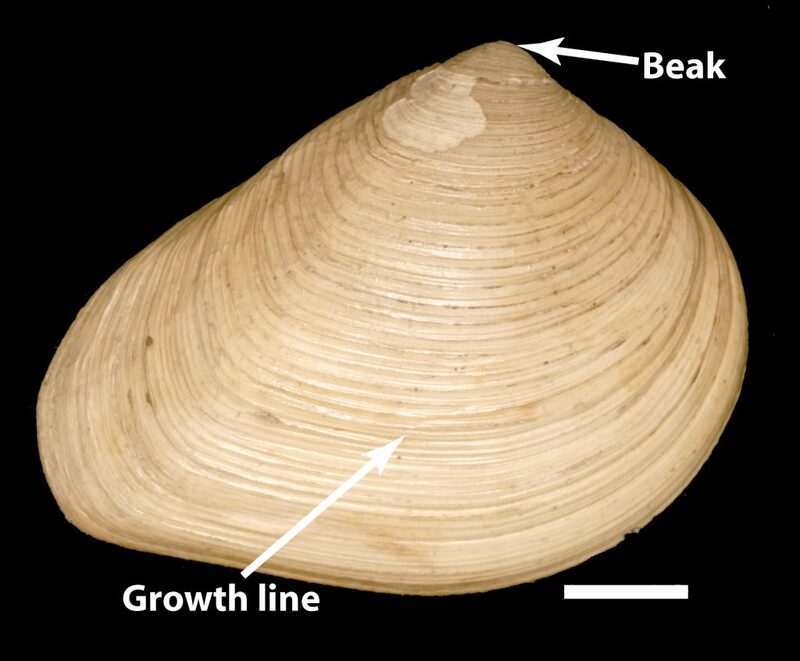 Bivalve shells grow by adding new material (calcium carbonate) to the edges. This leaves a pattern of fine lines (growth lines) on the exterior, that give a history of growth (much like tree rings on the inside of a tree). 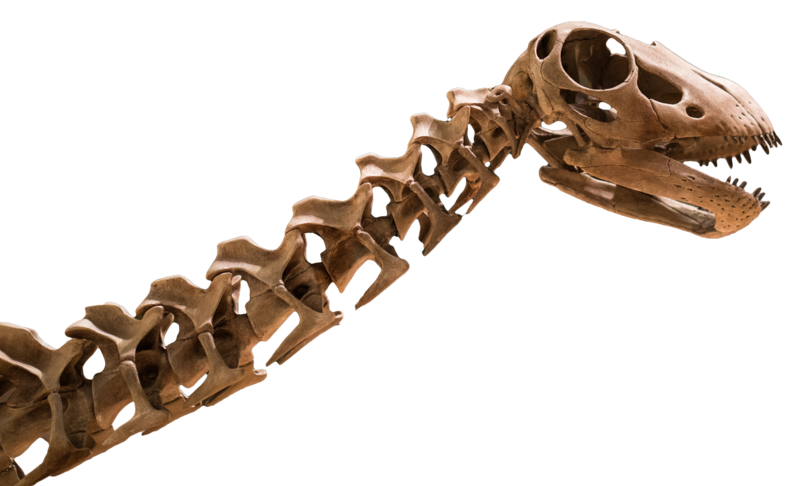 On the inside, the shell has a set of interlocking pegs (teeth) and sockets that form the hinge. 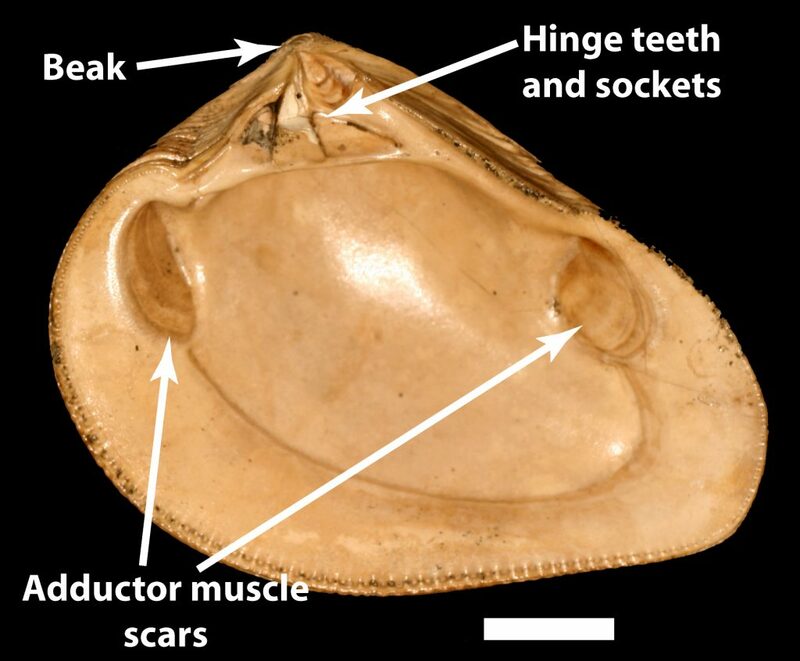 There is at least one (usually two) muscle scars that show where the muscles that close the shell (adductor muscles) attached to the shell. Bivalve valves are mirror images of each other, and a plane that passes between the valves is a plane of symmetry. The beak of each valve is off-center, so that a plane passing through the middle of each valve is not a plane of symmetry. Most bivalves are suspension feeders and eat particles of food from the surrounding water. Some species ingest mud from the sea floor and extract any edible material that it contains. 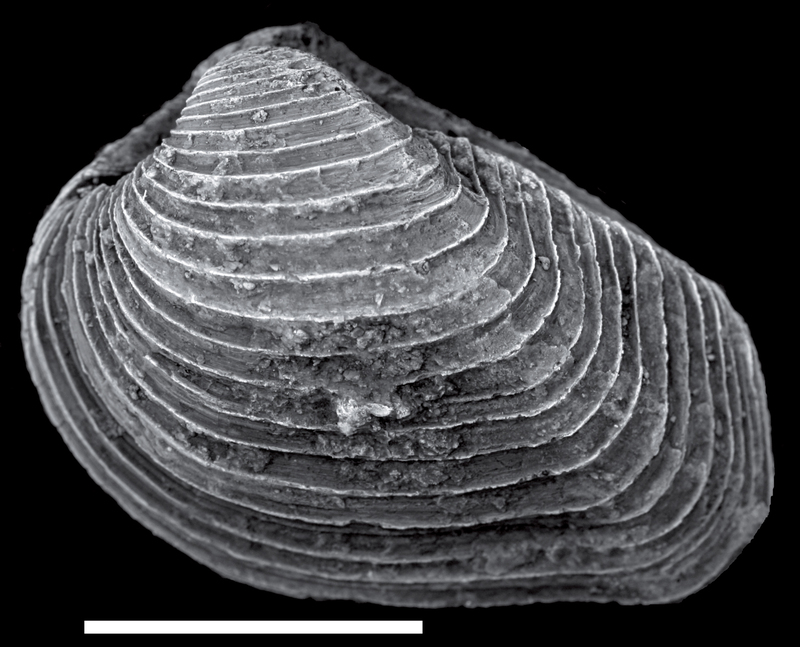 Bivalves live on the bottom of rivers, lakes and seas. Some, like scallops, lie on the surface but others burrow beneath it, where they have some protection from predators. 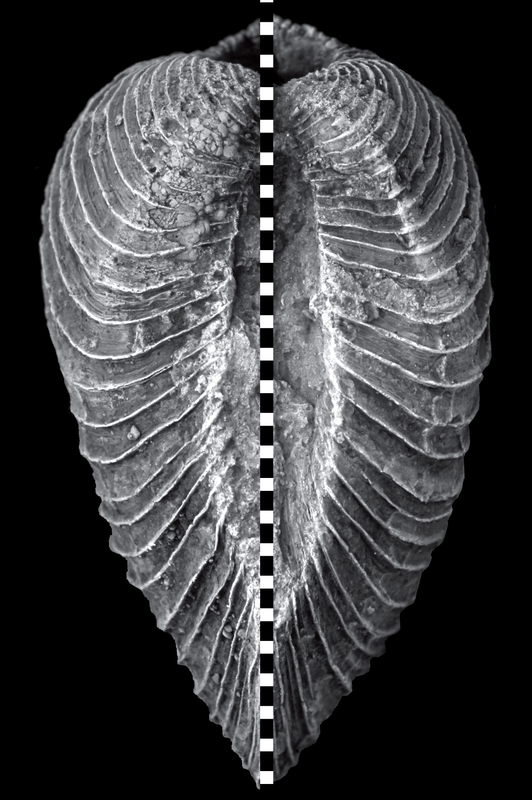 The oldest bivalves appeared in the Cambrian Period, more than 500 million years ago, and they are common in today’s oceans. Although bivalves can be found in Ordovician, Silurian, Devonian, Carboniferous and Permian rocks, they are most common in the Cretaceous rocks of southern Oklahoma. They can be found alive in many of our state’s lakes and rivers.